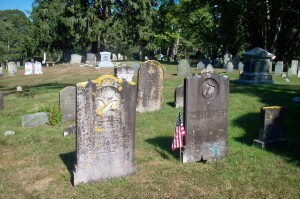 Born: April 1, 1802 (twin) in Sandwich Ma. 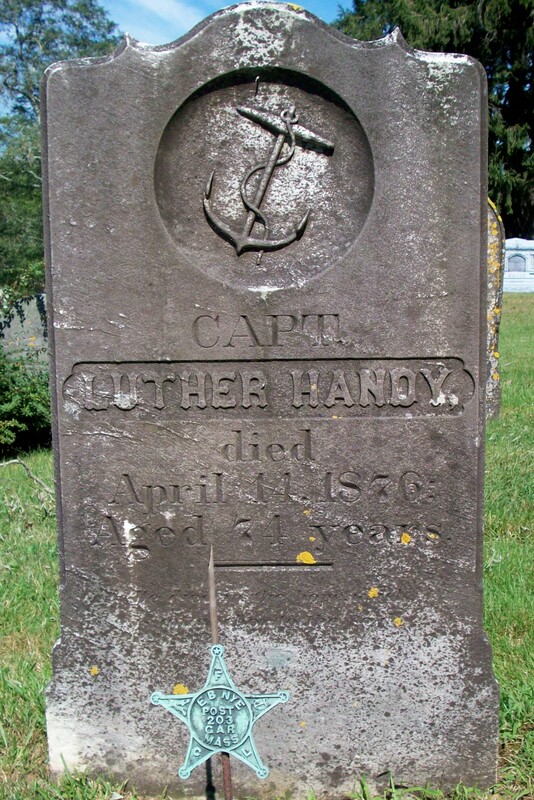 Died: April 14, 1876 in Sandwich Ma. at 74 yrs, 13 d.
2. Francis Drake Handy; (June 11, 1826 – November 16, 1899); Married Adaline Appleton Swift (1832 – 1900) (William Swift, Jr., Capt. & Sally Crowell) in Sandwich Ma. on May 9, 1850; They had 5 children. 4. Luther S. Handy; (May 5, 1832 – June 30, 1898); Married (1) Susan M. Gibbs (1835 – 1915) (Robert Gibbs & Jedidah Baxter) on October 4, 1854 & married (2) Amy (Dolan) Robertson (Abt.1833 – ?) (John Dolan & Bridget (–)) in Charlestown Ma. on November 28, 1871; Susan married (2) (–) Foster & Amy married (1) (–) Robertson; Luther S. is buried in Cataumet Cemetery; Susan is buried in Forest Hills Cemetery in Jamaica Plain Ma..
6. Thomas J. 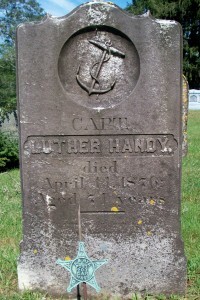 Handy; (May 14, 1837 – ? ); Died young; Thomas is buried in Cataumet Cemetery(Headstone unreadable). 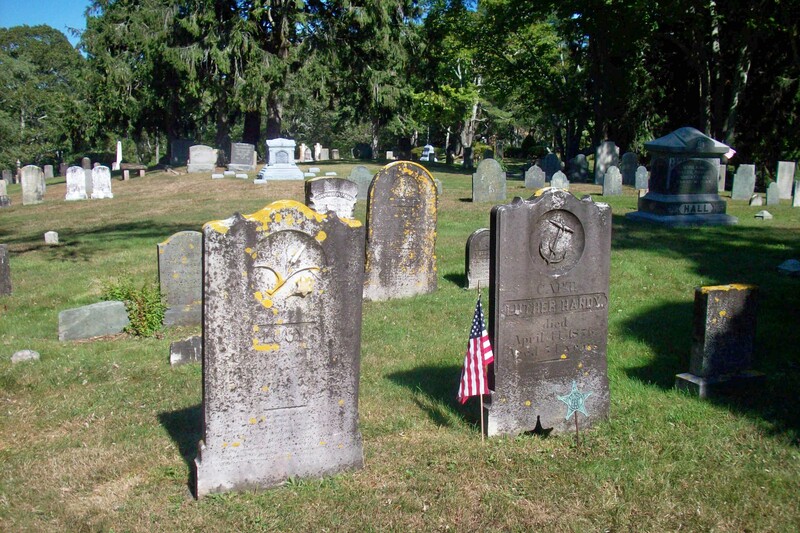 To: Phebe Hatch Chadwick; (1824 – 1892) (Sylvanus Hatch & Tirza (Hatch)); Phebe married (1) Ebenezer Dimmick Chadwick (1810 – 1846) (Elijah Chadwick & Lurana Dimmick) in Falmouth Ma. on October 7, 1839.